Please note that we are suspending self-collection due to our hectic work schedules. However, our most popular mode of purchase is still Normal Postage. We are proud to say that we have less than 5 cases of lost mail with SingPost over the past 3 years! 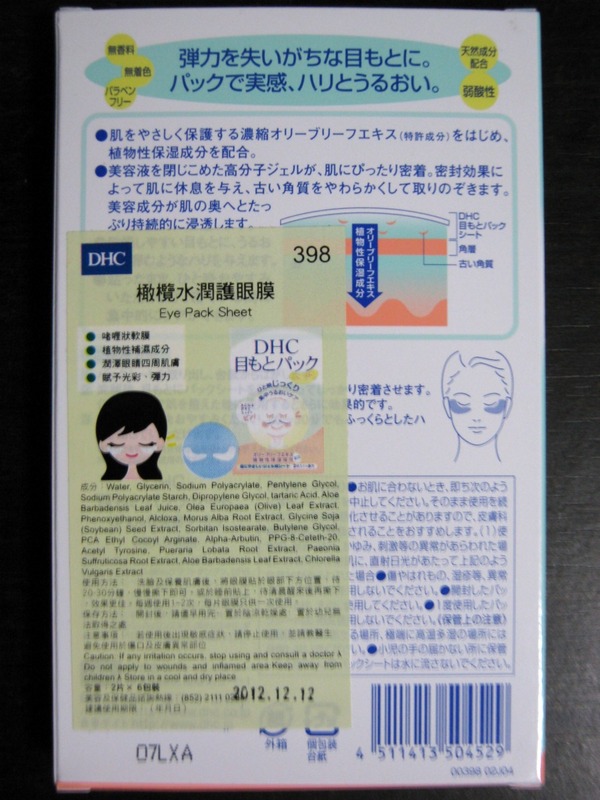 15/12/2012: DHC eye masks are sold out! 12/04/2011: Price reduced to S$16.00 inclusive of normal postage within Singapore! Don’t let fatigue and fine lines show—fight the first signs of aging in the vulnerable eye area with these soft gel masks that gently adhere to your skin to form a seal that keeps nutrients in. Beneficial ingredients include brightening mulberry and alpha-arbutin to combat dark circles, and antioxidant-rich olive leaf extract and soy to promote younger-looking eyes. 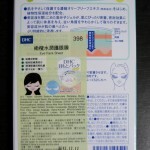 After toning, remove strips from backing and apply under eyes. Leave on for 20–30 minutes or overnight for more conditioning. Gently peel off strips and discard. 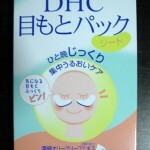 Use 1–2 times a week. *Effective 15 May 2010, SingPost no longer collects/delivers mail on Saturdays. *Please note that all payments must be made and verified first before the order is shipped. 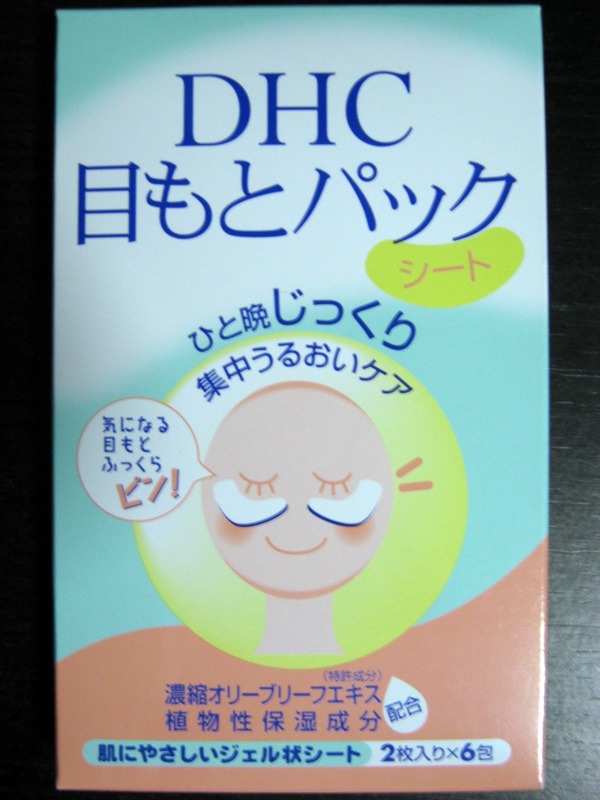 The item you are purchasing is 100% authentic and shipped through a supplier of DHC products from Hong Kong. The price you are paying is considerably lower than stores in Singapore due to bulk purchase and the lack of a store front since Orinity.com is operating purely through an online platform. A guarantee is in place to ensure that replacements or refunds will be made for any non-authentic items. Please send your order through our order form below. If you are having troubles with our order form, please kindly send it your order with the required information to sales@orinity.com. You may also post questions by sending us an email through our contact form.